Empty Vase created the stunning floral centerpieces for this Beverly Hills event. The gold latticework on the vases added luxury to an already stunning tabletop. Chair covers and napkins were done in different colors, and the tent's perimeter was covered in purple laser-cut wood fronting walk-in tents provided by Raj Tents. A stage at front featured endless performances. 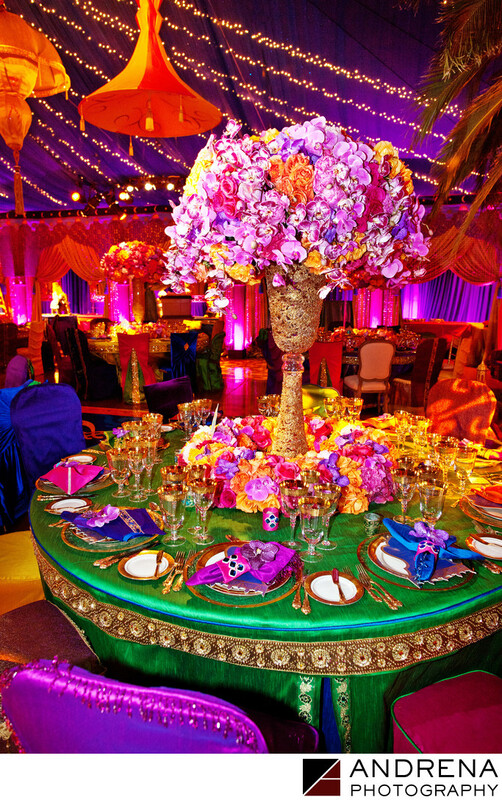 Coordinated by Sonia Sharma Events.